The wedding has been an important place in our life. 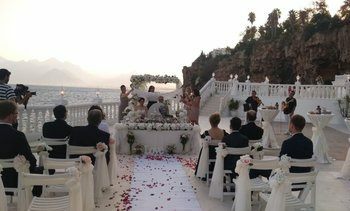 Your Turkey Weddings will be organized by Wedding City Antalya with high-quality wedding service in Turkey with best prices according to the budget of couples by offering different wedding packages for your Turkey Weddings. 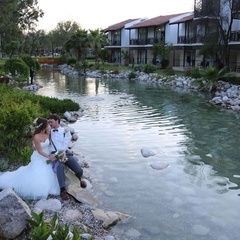 Antalya has very special wedding venues and facilities such as magnificent beaches of blue flag 5* world brand Hotels as our wedding partner, with green forests accompanied by 3 seasons summer and 1 season Spring. 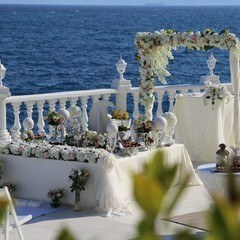 Therefore we offer best and high-quality Turkey Weddings in Antalya / Turkey. 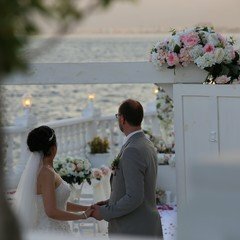 It’s possible to see magnificent Mediterranean Beach, sunset as the flame, sparkling blue sky, green pine forests and chirping color flowers in the every wedding photograph. 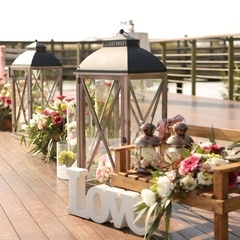 We have all knowledge and experience to organize the civil marriage of every couple anywhere in the world. 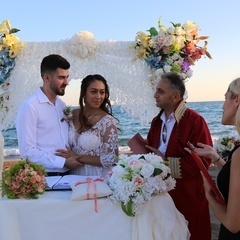 Official marriage certificate which is providing by the Republic of Turkey is multilingual, therefore It’s recognized anywhere in the world. 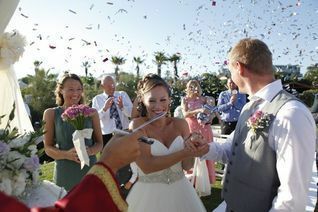 We will provide you with the legal requirements for marriage you need to prepare in your country. We will assist you during your legal document preparation by checking your documents over e-mail. 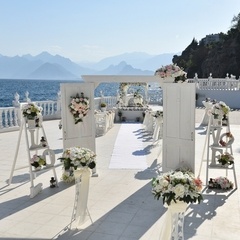 Also, you need to bring your original legal documents when you arrive in Antalya. 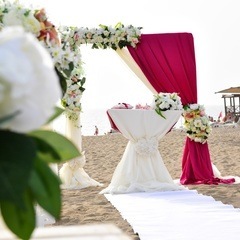 1 day before the wedding day, the company authorized and your wedding consultant will come to the hotel to pick you up for legal document paperwork. We will do the application for marriage together. We always finish the application for marriage half a day as we already would do the appointment before. 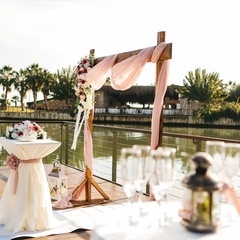 Wedding City Antalya will provide you the Formula B document after the civil marriage ceremony after getting Apostilled for you to do necessary early registration in your country. Also, your marriage information will be informed of your company by the Ministry of Foreign Affairs in Turkey. 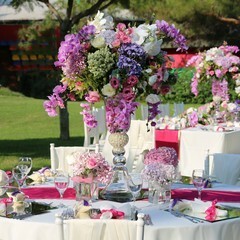 Turkey weddings is the one of the best and also easiest country for civil marriage. 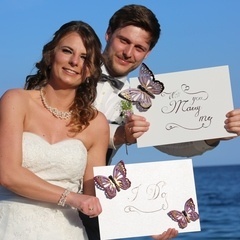 Please just share with us your dream wedding Our experienced managers and young and dynamic team will guide you about everything you need to be the best bridegroom. 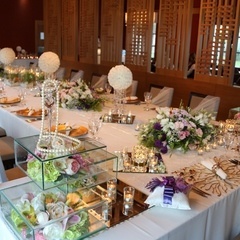 We will immediately offer you our special prepared the best wedding package. 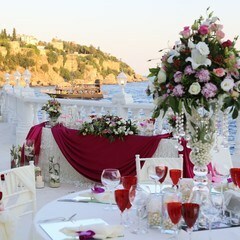 You will be sure that your wedding ceremony will be planned by Wedding City Antalya. There are restored small churches in Antalya. The Church Wedding can be organized in these churches. 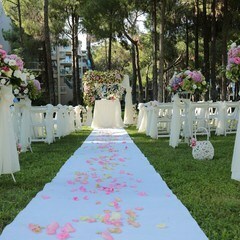 Also, there is the place of worship in Tolerance Garden located in the Belek region. There is the church for Christians, the synagogue for Jews, a mosque for Muslim. 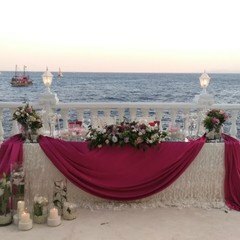 We also provide Shiite Hoja for religious ceremony of Persian marriage.